FRANK N. JONES is a consultant and an Emeritus Professor at Eastern Michigan University, where he was Director, of the National Science Foundation Industry/University Cooperative Research Center in Coatings. Previously he was Professor and Chair of the Department of Polymers and Coatings at North Dakota State University. 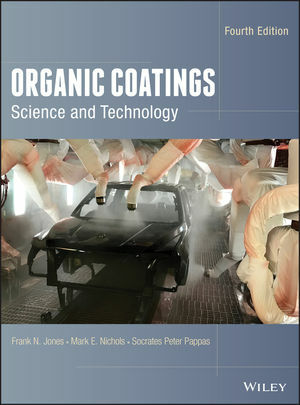 MARK E. NICHOLS is currently Technical Leader, Paint and Corrosion Research at the Ford Motor Company and the Editor-in-Chief of the Journal of Coatings Technology and Research. He is the recipient of the Industry Excellence Award from the ACA as well as a Roon Award. SOCRATES PETER PAPPAS is a consultant. Previously he was Corporate Scientist at Kodak Polychrome Graphics, Director of Chemical Imaging at Polychrome Corporation, Scientific Fellow at Loctite Corporation, and Professor at North Dakota State University in the Departments of Chemistry, as well as Polymers and Coatings.